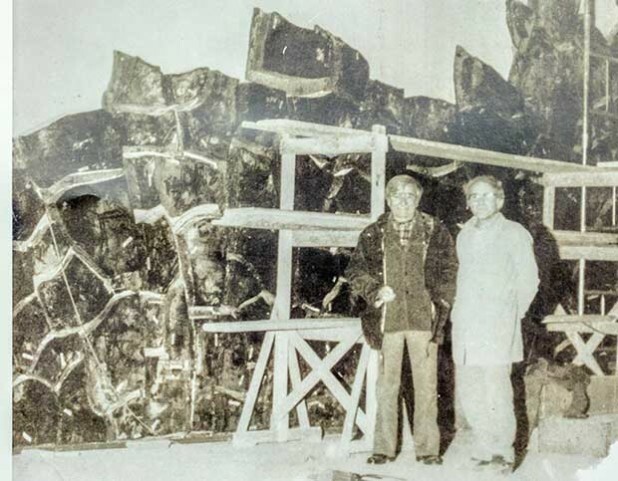 In the mid-70s Burri made two monumental pieces; the ‘Grande Cretto Nero’, which was donated in 1977 to the Franklin Murphy Sculpture Garden of the University of California, Los Angeles, and the second, the ‘Grande Cretto’ which went to the Museo di Capodimonte (Naples), in 1978. Both works were designed and produced in Città di Castello. It was here in his native town that Alberto Burri decided to have them moulded. He approached Ceramiche Baldelli where he was certain to find skilled labour and the machinery to work the material, and it was in this workshop that he met Corrado Ponti, one of the long-term experienced workers. It was the owner of the workshop, Massimo Baldelli, who decided to entrust Burri’s sketches to Ponti. Corrado’s daughter Nadia recalls the relationship between her father and Burri. 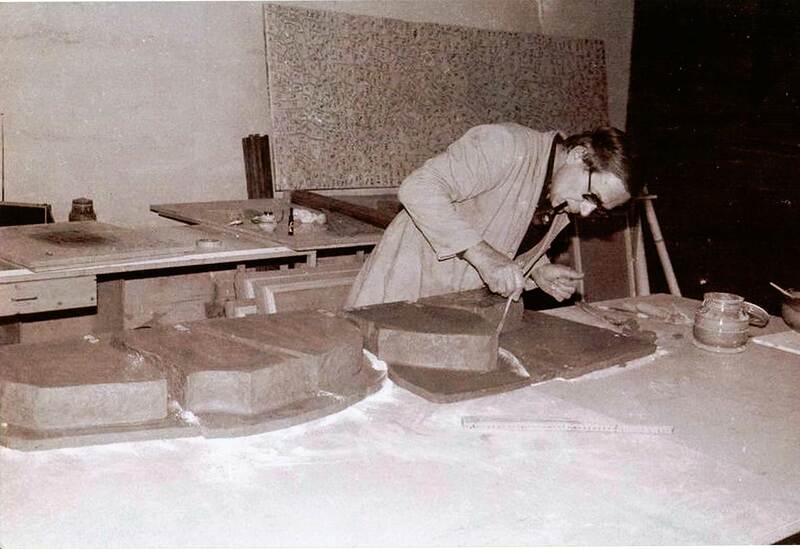 Burri specifically requested that Massimo Baldelli and Corrado Ponti were with him when the works were assembled at their final destinations “but my father only went to Capodimonte, as he wasn’t happy about flying to Los Angeles.” Alberto Burri also wanted their signatures on the backs of the two works. 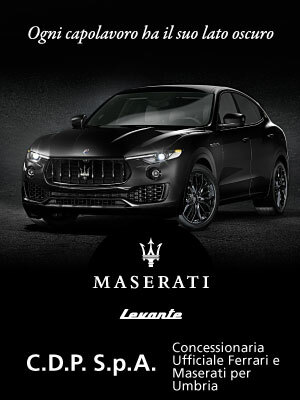 Nadia concludes, “When I went to the Museum of Capodimonte to see the ‘Grande Cretto Nero’, I not only admired the front, but I also looked at the back where my father’s signature was”.